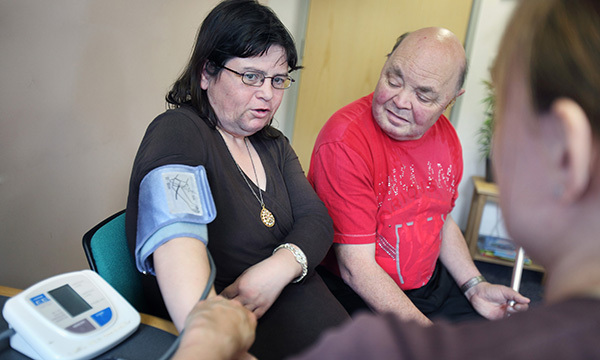 Research by the Scottish Learning Disabilities Observatory, which involved reviewing detailed clinical assessments of more than 1,000 adults who were known to health or social care services, found that 99% of people with learning disabilities were living with two or more long-term conditions. This is believed to be the first study of its type because it was conducted at scale, across the lifespan, involving a detailed health assessment and including a full range of potential conditions. Across the whole sample, people had, on average, about 11 co-existing long-term conditions. Eight conditions were so common as to affect more than one in five people; these included sensory impairments, obesity, epilepsy, constipation and movement disorders. Unlike the general population, large numbers of co-morbidities were found across all ages and were unrelated to neighbourhood measures of deprivation. The authors draw attention to the challenges in supporting people with a number of co-morbidities, especially given the extent to which the profile and presentation of conditions differs from the general population. Traditional long-term pathways are typically condition-specific and therefore greater education and awareness is needed, as well as effective approaches to long-term care coordination.